A great example of standardizing and systemizing a business is Doug McDonald from SpeedyLube in Coffs Harbour. Speedy Lube is a drive-in car servicing business and when Doug was thinking of franchising so I worked with him to systemize the business. We got all the documents in place, uniforms, scripts for each employee to greet and treat customers and so on. Doug was emphatic that everyone needed to deal with clients in the same way. Unfortunately, Doug became unwell and decided not to go down the franchising path but to sell the business. The systems and standards his documentation enforced ensured that the business sold fast and for significantly more than it would have otherwise done. The purchaser, not a car mechanic but a professional person and car enthusiast, knew that he could slip into the business easily. So, because the systems were there and the staff well trained, Doug certainly received a significant and well-deserved bonus for his diligence! Throughout the process of reviewing our business systems we became more efficient and I was able to move away from the day-to-day and start to work on other aspects of the business such as analyzing exactly what the market place was doing. In addition, putting together the systems for this business, showed us that, if we should franchise, the licence fees alone would be worth an additional $1.5m – without selling another product. Shannon decided not to franchise at the end of the day. Like Doug, he sold the business for a significant profit instead. It’s a great exit strategy. Sandra and Simon went to the Melbourne Franchise Expo in 2015 when franchising was just a dream for them without legs and then they attended one of our two-day Kickstart Franchise Training Workshops where they decided to sign up to one of the programs. Sandra and Simon grew the business by 256% in their first year with Brian before they even franchised, just working on their systems, operations manuals and refining the way they did business. Their operations manuals were a central part of creating this success. Today, they operate in Victoria with ???? centers, servicing ???? and ………. Lisa Hellwege was a registered nurse when she came up with the concept of her business Earworx and opened it Tasmania in 2016. It was literally an overnight success so her partner Scott Marston left his high-profile career to join Lisa to expand Earworx to meet the significant demand for the Earworx service. They decided that the cloud-based model (FranSystems) developed by Franchise Simply was the ideal way to develop their franchise model. They did this within a short period of time and now operate their franchise model in four centres and have been pursued by a number of large national corporates who want to partner with them to rapidly expand Australia-wide. In 2015 over a beer Brad Aylet and Kevin Scrimshaw came up with the concept of National Drones. 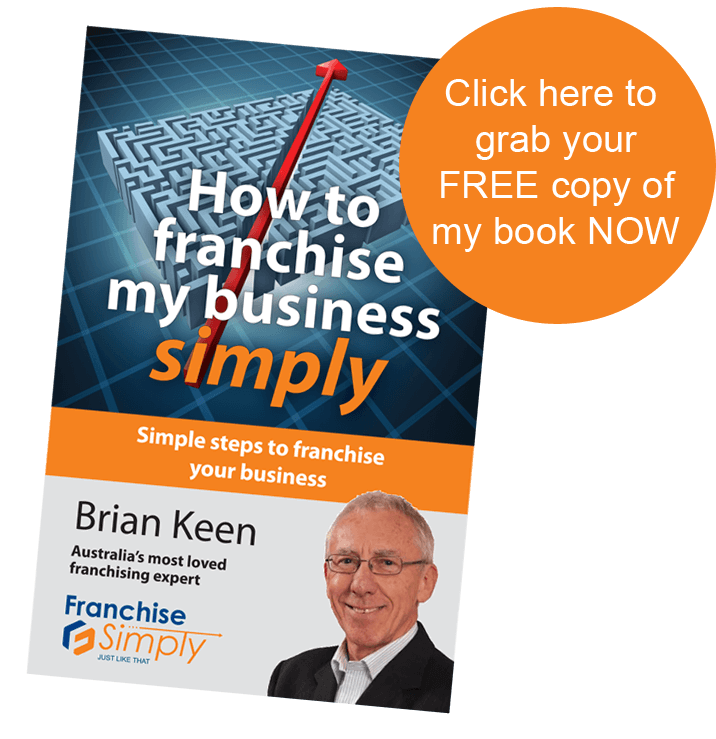 They met Franchise Simply at the August Melbourne Franchise Expo that year and completed their Franchise Success Path Program in record time to launch their franchise spectacularly at the Sydney Franchise Expo in March 2016. They were buried in enquiries all weekend and it was clear already that their exciting new franchise model had taken off. We worked closely with them at three more expos that year and the growth was such they that they have barely needed to do any promotion since. It was also in 2016 that they merged with Fly UAS pilot training school. The next year they opened a Brisbane office and a respected strategic business partnership invested in the company. This enabled them to open in New Zealand in 2018 and continue their impressive growth overseas. Aziz Elali had operated a number of businesses over the years, including Pizzarazzi, his premium quality edgy and fun concept pizza outlet when he approached Brian to help him franchise and grow his boutique group. Pizzarazzi has now expanded to five outlets in Tasmania. Perth based Mark Fregnan had worked as a senior consultant in marketing and media when he decided to open his own new concept franchised accounting and bookkeeping business, Axia Accounting. Mark attended a kickstart franchise training workshop run by Franchise Simply and used their program to develop his model. After working closely with a number of Franchise Simply’s team of experts he launched Axia and has now expanded to have 14 members in WA and NSW. Guy Thompson is a coffee importer and wholesaler who has been producing award-winning coffee since 1997. After he proved the success of his first coffee shop, Bar Bellaccino in Sydney CBD he used the Franchise Success path to develop his franchise model and now operates five outlets offering customers his famous coffees and food. After persevering for some time to convince the authorities to give permission for him to open Taps, his cutting edge Pour Your Own beer bar and restaurant Taps in Mooloolaba, on the Queensland Sunshine Coast Steve and his team worked closely with Brian Keen and Franchise Simply team of experts to develop a franchise model which he used to open the second Taps outlet in Fortitude Valley, Brisbane. Nigel Tan had been operating in the swimming pool cleaning industry for many years when he chose Franchise Simply to help him convert to a franchise model. Nigel worked closely with a number of the Franchise Simply team and used them to write his operations manuals, allowing him to operate his business more efficiently and open the door for him to offer attractive business options to new team members across the Sydney Lower North Shore. Rebalance Pilates and Yoga from Brisbane were operating a number of very successful studios in Brisbane when co-founder Jennifer Grehan and her partner Todd Kuhn decided that the simplest way to expand interstate was to use a franchise model. They worked with Franchise Simply and in the matter if three months had their new franchise model ready to launch. They now operate 12 studios in Queensland, NSW and Victoria.